Behold the Hissers, our Madagascar Hissing Cockroaches! Do cockroaches give you the heebie-jeebies? Have no fear! You will often meet the Hissers at our Encounter Cart, where you will learn just how friendly these animals can be! Insects breathe using special structures called “spiracles;” external openings that line the segments of their thorax and abdomen. 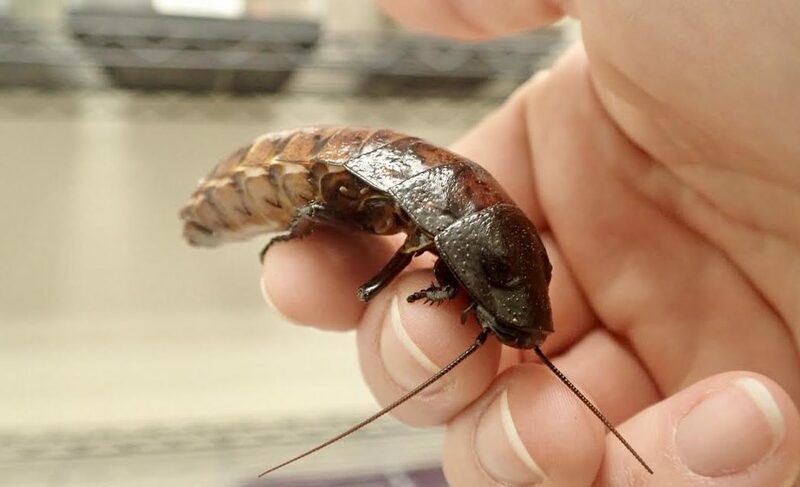 When these cockroaches “hiss,” they do it by forcing air rapidly out of their spiracles.